It’s not uncommon to meet company directors who complain that whatever they do their projects always end in chaos and panic with half of the company eventually being dragged in to try to sort out the mess. They tell me that the last month or two of every project is a living hell that ties down senior staff and disrupts day to day activities. They’ll say that they’ve sent their project managers on Prince 2 courses, bought good project management tools and made sure that business cases are approved before a project can start, so they can’t understand why it isn’t working. Well the answer is that the single most important factor in project success is that you set your whole company up to support project delivery. 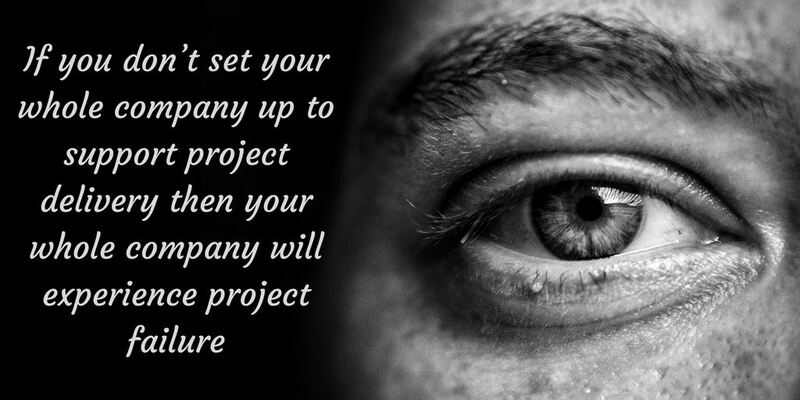 If you fail to do this then the repercussions are often much wider than you might think and your whole company will experience the impact of project failures. If you want your projects to be successful and by association, your company to be successful, then this needs to be ingrained in the culture of the company, starting at the very top. Want to know how to fix this?